Of course, “earth day” is every day that occurs on Earth. Maybe the real importance of this annual holiday is to celebrate and develop the connections within our communities and between human communities and communities of nature. 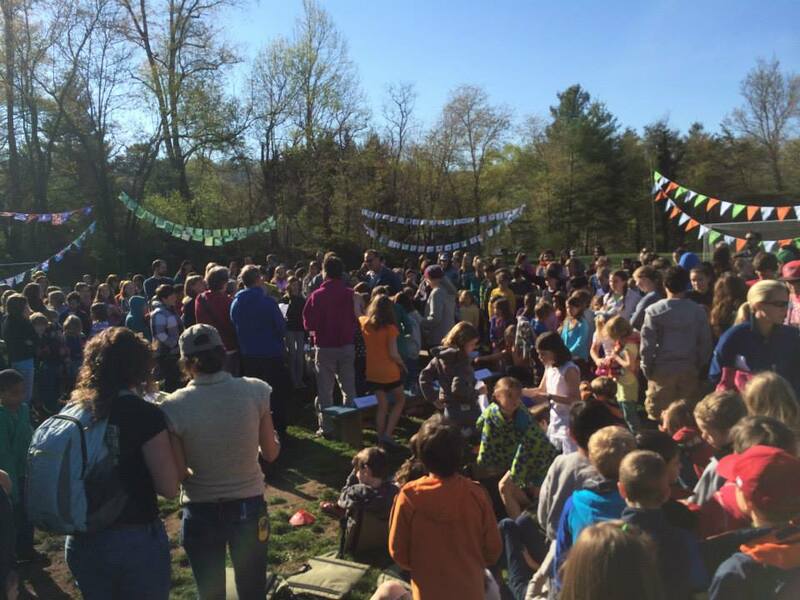 This year, Wild South had the wonderful opportunity to do just that at Evergreen Community Charter School’s Earth Day celebration on Monday, April 21. Wild South organized two presentations for Evergreen students, the Wings to SOAR rapture exhibition and a presentation on reptiles and amphibians by Steve O’Neil. Students and parents alike were awed by the mystery and majesty of these wild creatures while learning valuable lessons from their human companions. Wild South also worked with Evergreen to organize an environmental writing contest for Evergreen’s seventh graders. The students were prompted to use their voice to craft a call to action, encouraging community members to become engaged in solving an environmental problem. Four outstanding pieces of writing were selected to receive the award. Congratulations to Jessica Humphrey, Naia Garcia, Angus Woods, and Ryan Rosenfelt. Stay tuned to read the award-winning pieces on Wild South’s website later this week. In addition to these events, Evergreen students worked on important service projects across their campus. These included planting a butterfly garden, building a compost system with Asheville GreenWorks, and cooking cultural dishes from around the world to feed their classmates and teachers. The students worked hard and had a great time. The event wouldn’t have been possible without the commitment of the Evergreen staff and the vision of Marin Leroy, the school’s Environmental Education Coordinator. Ben Colvin, Wild South Development Director, and Emily Ehley, Wild South Conservation Fellow, had a great time spending the day with such a creative and motived community.